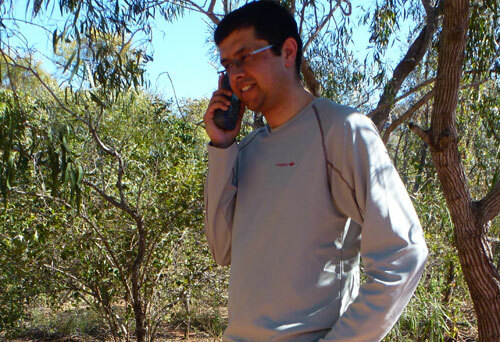 The falling cost of satellite phones and GPS tracker devices is making it easier for travellers to places off the beaten track to call, SMS, tweet and facebook their friends and family about their trip as well as contacting emergency services if they get into trouble. However this raises a troubling question. If the purpose of going to remote places is to be far from the maddening crowds and noise of city life does the availability of affordable communications technologies to adventurers on our largest oceans, most arid deserts and highest mountains mean there is nowhere left on Earth where we can relax in quiet solitude? “So now you can climb to the top of the world…and still get a telephone call. Wow. This is a wonderful use of technology…and an abysmal failure too. Of course, if you’re a lost or trapped climber…then having the ability to make a cell phone call for help…well that’s terrific … But the opposite is true. The majestic peak of Mount Everest is now no longer a refuge from today’s modern world. Yup, you could climb for weeks, be one of a few thousand to reach the summit…and as you marvel at the expanse of the world before your eyes….ring, ring…you’d get a call. Seems to taint the experience a bit”. 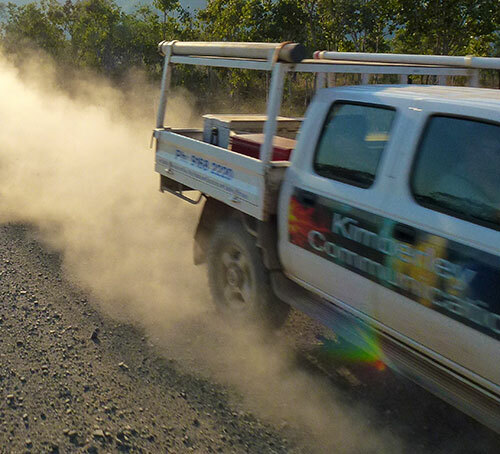 For people who live and work in remote areas like the Kimberley in Western Australia (WA) these same technologies enable them to communicate more easily, often at a far lower cost than before, with the rest of the country and the world. iSatphone Pro satellite phone – lent by Inmarsat. It’s common to hear complaints of small mobile phone reception blackspots in big cities like Sydney and Melbourne at a particular train station or street making it hard to call or access the internet but readers outside Australian cities will laugh because they have real blackspots 10’s or 100’s of km in radius. Telstra NextG is Australia’s biggest mobile network, “twice as large as any other 3G network in Australia [and] covers 99% of the population” but even that leaves vast regions of Australia’s rural and outback regions without any conventional mobile coverage. As you can see most of Telstra’s NextG coverage in Northern WA is around larger towns like Broome, Kununurra and major mining sites. Travellers in my group with Optus and Vodafone were left “in the dust” with barely any coverage once we left Broome. As an example one of my friends Robbo is a Remote Pharmacist. He told me that his work area in Western Australia covers “over 250,000sq kms and 11 communities. We have one community which has 3G coverage, 125km away from home”. The difference between which mobile telecommunications provider they choose and whether they have a mobile internet signal or not can mean lost income for people in rural and regional areas who lack the 24/7 wired and wireless internet access we enjoy in cities. As an example during the Kimberley roadtrip I was emailed by one of my editors to write an article, take appropriate accompanying photos and email these urgently within 48 hours. If I had any other mobile provider besides Telstra I wouldn’t have received this message and therefore would have lost several $100 in income. Telstra award a “blue tick” logo to phones that provide better coverage in rural and regional Australia. I had 2 phones with Telstra NextG SIM’s in my pocket. The Motorola Atrix is blue tick and my old Nokia 6120c isn’t but they are capable of getting similar signal strength. It’s worth researching 4WD and caravan user websites to see how phones perform in the outback before you buy one. The Motorola Atrix performed well in terms of manufacturing quality because none of the fine red outback dust got in the phone during the three week trip and the toughened Corning Gorillaglass touchscreen didn’t shatter when it bumped against other objects. As a smartphone the Atrix had a key advantage over the old Nokia because when I was in a town with a mobile signal I could use Google Android’s WiFi hotspot feature to connect the Atrix to my netbook computer, research information for stories I was writing during the trip, share photos on Flickr and check email. Working this way was a lot slower than using 3G mobile data in Sydney but still something to be very thankful for as the only viable internet option. 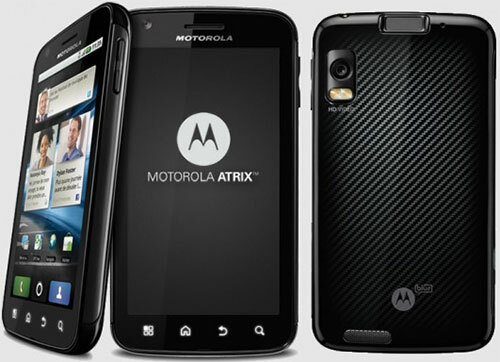 The Motorola Atrix can be purchased on various Telstra contract plans, outright from Telstra for $840 or a grey importer like Mobicity who sells NextG compatible Atrix’s sourced from the USA for $679. 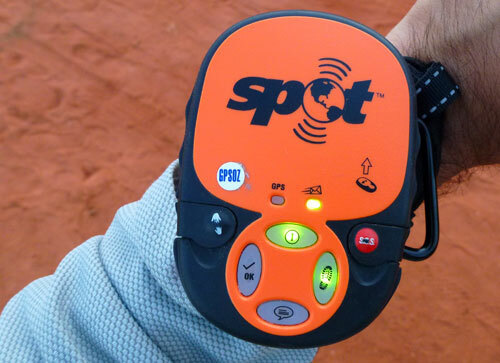 The Spot 2 Satellite GPS messenger is a relatively inexpensive device that has 5 features: SOS message to emergency services, Help message to friends/family, OK SMS/Email to a predetermined list of people, Custom message and Google Maps waypoint logging. The Spot 2 unit itself costs $229 and needs a $US115/yr satellite service subscription to activate basic functions and an optional US$49.99/yr to activate Google Maps tracking. People planning a 4WD exploration trip or travelling to a remote place on land should consider buying a Spot 2 as it provides more flexibility than an EPIRB beacon (Emergency Position Indicating Radio Beacon) which is only useful in emergency situations and can’t send reassuring location details to friends/family just to say where you are and that you’re OK.
Satellite phones are commonly used by travellers to remote places and the people who live there as the main method of phone communications. 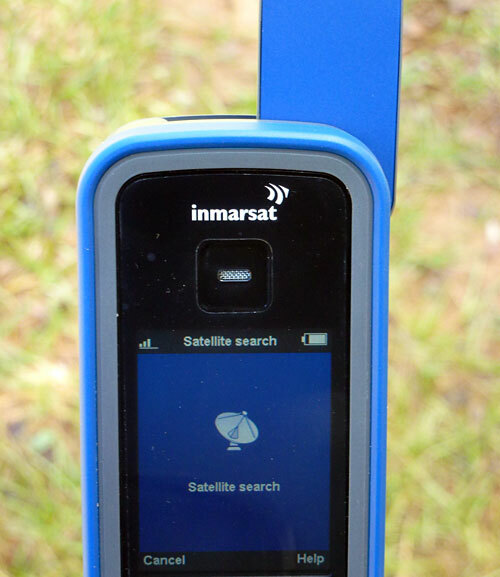 When Inmarsat sent me an iSatphone Pro satellite phone to borrow and review during my trip I was surprised at several aspects. I expected it to be big, heavy and thought the phone and usage costs would be quite expensive. However surprisingly the phone handset is not huge, comparable to an early generation cordless home phone and the cost of buying a iSatPhone Pro in Australia at $599+GST plus call costs @ 75c+GST/min (regardless of country/phone type) is quite comparable to the cost of buying a mid-high end 3G smartphone on a prepaid account. I found calls to landlines were more reliable and had better audio quality than calls to mobile phones. Bear in mind that your voice is travelling from the ground, up to a satellite, down to the ground again and routed to your destination number so there is inevitably some lag delay time between saying something and the person you’re calling hearing your voice. Thank you for the article with the immarsat phone. Well that’s quite funny though and a sad truth as well. Whenever we enjoy serenity and solitude with nature, a phone always ring to spoil the moment. Amazing phone. not our ordinary phone but this one is incredible. I want to get one of this soon. This is very useful in my field.